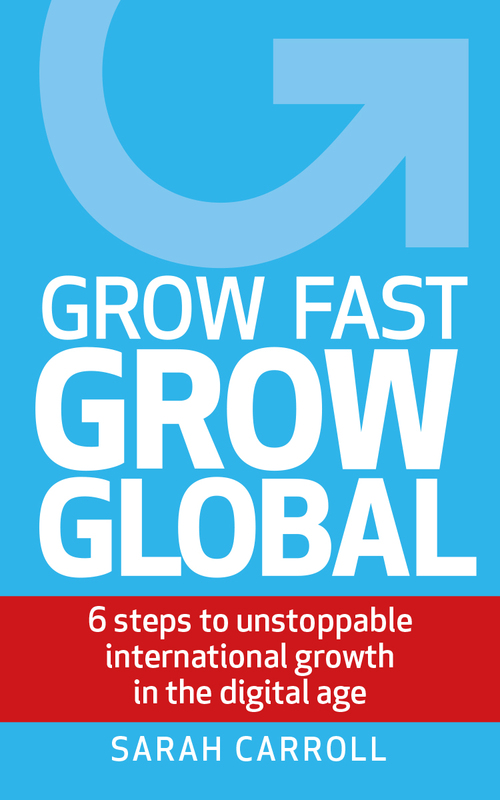 Sarah Carroll, Grow Global’s founder, will be a presenting a talk on how to increase international sales online at the BESA Launchpad Export Conference on 25 October 2018 in London, following the publication of her new #1 Amazon UK bestseller, Grow Fast, Grow Global. She will be available for a 1:1 Discovery Meeting so you can find out how to grow your business globally using digital channels. BESA’s Launchpad programme provides specialist advice and support to EdTech companies and SMEs start ups under two years old, operating in the education sector, and the Launchpad Conference is intended to provide these companies with practical advice and tips about exporting. The Launchpad Conference is taking place in partnership with the Department for International Trade and EDUCATE. Sarah Carroll is the Founder of Grow Global and has mentored over 700 companies for the UK and government agencies in other countries, advising them on how to gain more leads and sales from international customers online. She is one of the UK’s leading experts on how to make a website international and how to communicate effectively internationally. She regularly speaks at seminars and runs workshops about optimising websites, e-commerce, e-marketplaces and s-commerce for international trade and her recently published book ‘Grow Fast, Grow Global – 6 steps to unstoppable international growth in the digital age’ is an Amazon # 1 best seller. Grow Global are a world-leading independent consultancy, who believe that digital is a great way to grow internationally. They specialise in helping companies to optimise their websites, e-commerce systems, e-marketplaces and social media for international trade by following their game-changing and proven Grow Global Method. They’ve also published five books and are regularly asked to speak on all things digital and international for global banks like HSBC, Santander and Barclays, as well as Google London, the UN Conference on Trade and Development E-commerce Week in Geneva and the African Union E-commerce Conference in Nairobi.